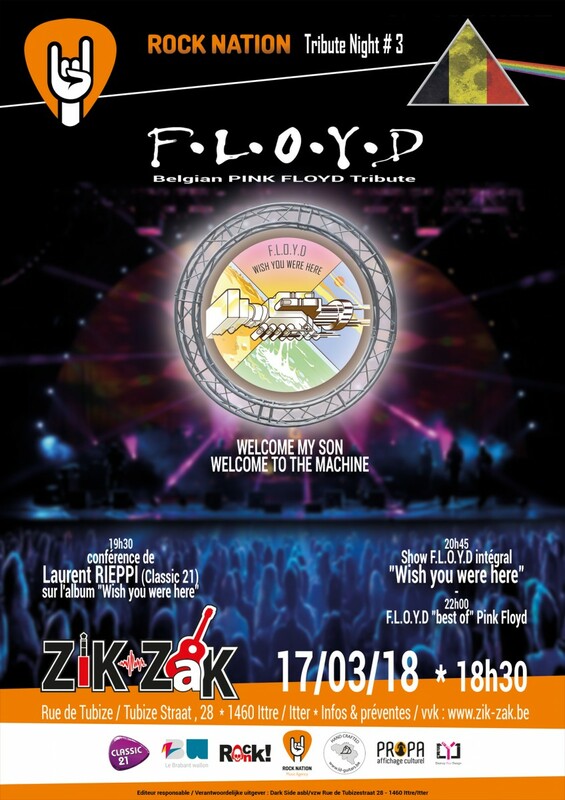 From 18:00, come and taste our delicious « Pink Floyd cocktail » and our « Bacon Burgers » with typical English sauce, while you can have a selfie in front of a huge cover of a Floyd’s sleeve. 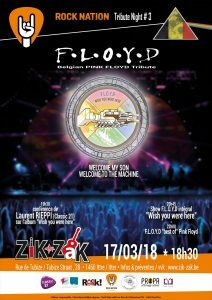 At 19:30, Laurent RIEPPI from Classic 21 will let you know everything about the album « Wish you were here ». The second act will be a best of with well known tracks of the legend, and some not well known !